Patti is the sophisticate's choice. 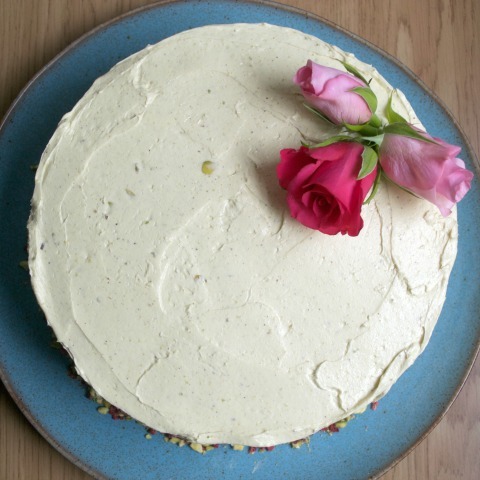 Her subtle blend of pistachio and rose water makes for a light, fragrant sponge cake - perfect if you're looking for something that little bit different. 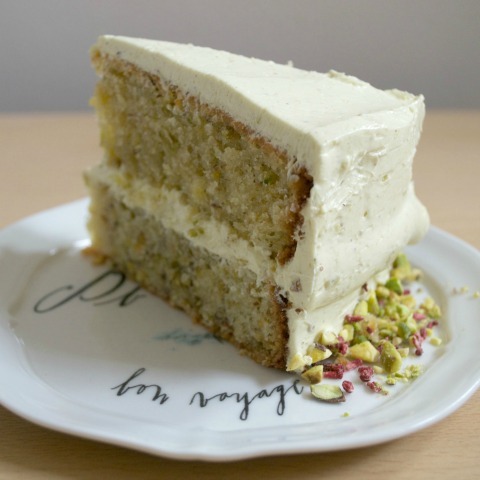 Made with homemade pistachio paste, the French buttercream is silky and indulgent without being overly sweet and the gorgeous pale green shade lends itself well to additional decoration. 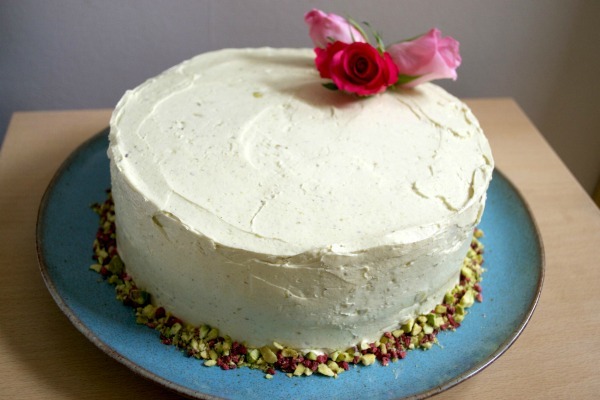 The cake is trimmed with chopped pistachio and freeze-dried raspberries. Patti is made up of a double layer of sponge, filled and masked in pistachio French buttercream. Pistachio and raspberry trimming is included in the price and I can also provide floral toppers at an additional cost. I recommend eating any of the cakes within 72 hours of delivery to enjoy them at their best. Patti does not need to be refrigerated and will keep well in an airtight container.